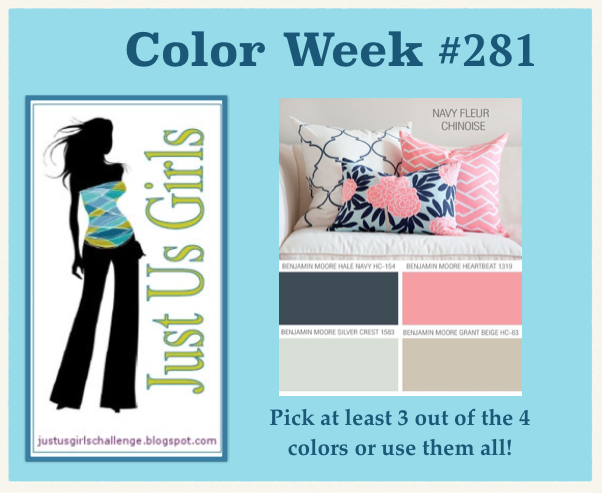 Hello Friends, It’s time for Color Week over at Just Us Girls and Lisa has picked out a beautiful array of colors. As you can see on the graphic we have 4 colors to choose from, you have to select at least 3, but are welcome to use all 4 if you desire. I used only 3 on my card. I have been wanting to use this great SU set again called Stippled Blossoms and my son bought me that decorative stamp at the top of my card for Christmas and I finally found a way to use it on a card. I think it’s so pretty, but it has had me puzzled for quite sometime. It looks like a chandelier to me now that I see it used, so maybe I will try that idea on another card. The sentiment is also from SU and is from the Chalk Talk set. 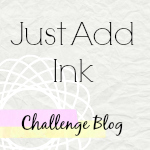 I am also linking my card up to the Thank You challenge they have going on over at Just Add Ink. I hope you get inspired by these great colors and join us this week over at Just Us Girls and remember if you win our Chic of the Week you could be selected as a future Guest Designer with us like Stephanie is this month. Before I go I have to mention and show you that last weekend I had a fabulous opportunity to meet a fellow cardmaker and blogger that I had met online through Stamp TV. Her and her hubby are on vacation in Florida and are staying so close, that we just had to take this opportunity to meet for the day. She is such a sweetheart, as I knew she would be, and we sure didn’t lack for conversation. What I think is so funny is that we share the same Birthdate, and while talking to one another we found other similarities of our lives as well. Thanks Barbara for a wonderful day and I sure hope we get the opportunity to see one another again in the near future! Here is a link to Barbara’s blog and you can go by and see her wonderful work as well and leave her some love! Categories: Cards | Tags: Card making, Cards, color challenge, rubber stamps, stamping, Stamping Up, Thank you card | Permalink. 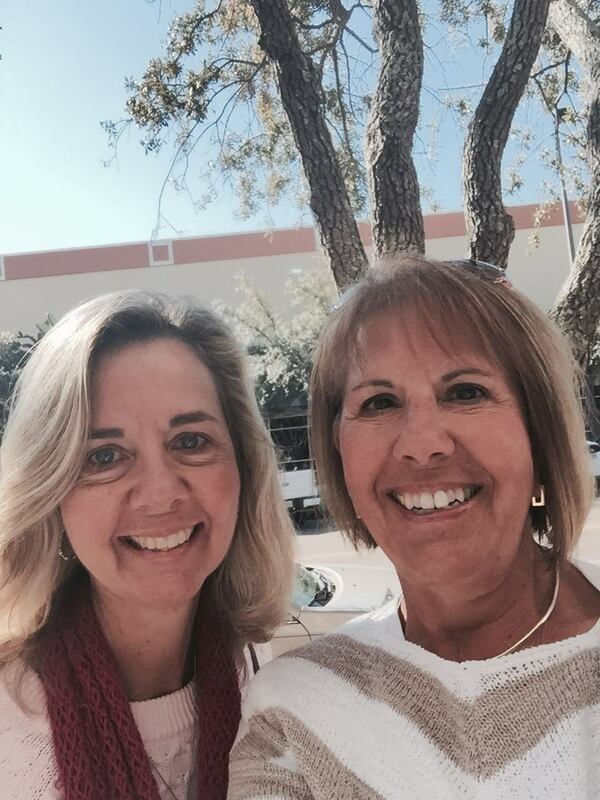 How FUN to meet your blog friend! LOVE your pretty pink card, Nancy! GORGEOUS flowers, love the damask, and the sentiment is so SWEET! Beautiful card, Nancy! And what a great pic! Love the softness of your card. The colors are so pretty as are those lovely flowers! Nicely done, my friend! Nancy, that card is gorgeous. I love the colors and design you created. This is so soft and pretty. Gorgeous! You little stinker! We were up early and out all day, so this is the first time that I have had to checkout the JUGS challenge for this week. I feel so lucky to have had the opportunity to meet you and then to be able to tell all of the bloggers out there, that we did. Thanks for linking my blog up too. Now, I came here to comment on your card for this week. I love this color combo and how every one made it look so different. The stamp that your son gave you looks great used here. It is like a chandelier hanging over the flowers. And that die cut peeking from the left side is making me drool. Slurp! Sorry, I digress. Love this card as so many of your others. Hugs to you my friend! Gorgeous card. Love your use of the colors. The 2-step flowers are so pretty. Hope you are feeling beter. I’m glad you got to meet one of your blogging friends. Nancy. I love those flowers on your card. The navy and pink go well together. 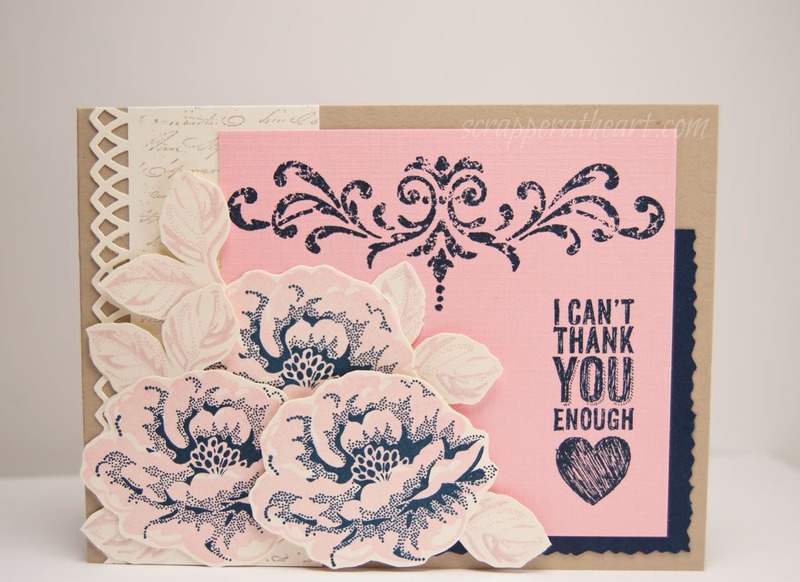 Another beautiful card Nancy – still got that stippled blossoms on my wish list. I love it and how you have presented it on your card. Lovely layout and that flourish is perfect. Isn’t it special when we get to meet face to face with a cyber crafty friend. I bet you both had a ball. Loving your design and choice of colour challenge Nanc, a beautiful card! Thanks for joining us at Just Add Ink. This is gorgeous! I love the big blooms colored in pink and blue! I LOVE your card! That decorative stamp on the top is a perfect match for the flower images! This is really stunning! Your card is so pretty and elegant! Love it! Isn’t it wonderful to meet blogging friends? Great pic! Nancy, this is stunning! Beautiful use of those colors and fab design. I love the decorative stamp you got from your son, so pretty. De esta manera los alumnos tendrán a su disposición una asesora pedagógica.